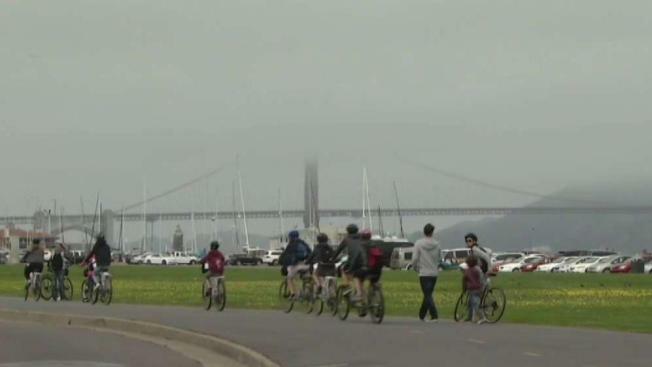 Crissy Field Avenue in San Francisco's Presidio will be closed on Friday so the roadway can be converted to a trail for pedestrians and bicyclists to help connect Crissy Field to the Golden Gate Bridge. Pete Suratos reports. Crissy Field Avenue in San Francisco's Presidio will be closed on Friday so the roadway can be converted to a trail for pedestrians and bicyclists to help connect Crissy Field to the Golden Gate Bridge. Once closed, pedestrians will still be able to go in both directions, but bicyclists will only be able to travel uphill until improvements are completed in the coming months. Motorists will still be able to access the area using Lincoln Boulevard and McDowell Avenue, according to Presidio Trust officials. Plans to convert the roadway date back to the Presidio Trails and Bikeways Master Plan, published in 2003. Anyone with questions about the project is encouraged to contact Clay Harrell with Presidio Trust Communications at (415) 561-5331 or charrell@presidiotrust.gov.